1. Break Down, Break, Conk Out, Die, Fail, Give Out, Give Way, Go, Go Bad : خراب ہو جانا : (verb) stop operating or functioning. 2. 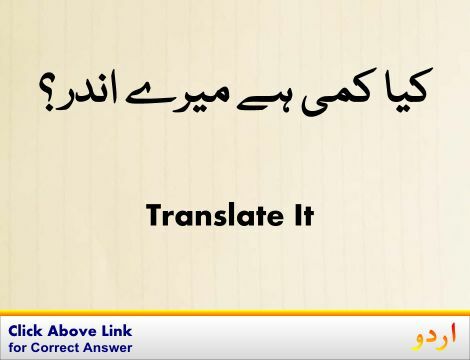 Break Down, Crush : غیر موثر کرنا : (verb) make ineffective. 3. Break Down, Collapse, Crumble, Crumple, Tumble : ڈھیر ہوجانا : (verb) fall apart. 4. Break Down, Lose It, Snap : اوسان خطا ہو جانا : (verb) lose control of one`s emotions. Act, Behave, Do - behave in a certain manner; show a certain behavior; conduct or comport oneself. 5. Break Down : گرانا : (verb) cause to fall or collapse. Break, Bust - ruin completely. 6. 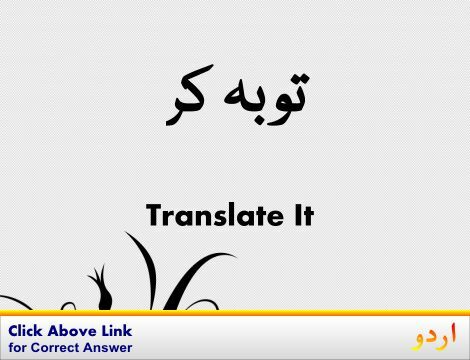 Break Down, Break Up, Decompose : اجزا علیحدہ کرنا : (verb) separate (substances) into constituent elements or parts. 7. Break Down, Collapse : کمزوری سے گر جانا : (verb) collapse due to fatigue, an illness, or a sudden attack. Breadroot : شمالی امریکہ میں اگنے والی بالوں والی گٹھلی دار جڑ یا پودا جو کھانے کے قابل بھی ہوتا ہے : densely hairy perennial of central North America having edible tuberous roots. How this page explains Break Down ? It helps you understand the word Break Down with comprehensive detail, no other web page in our knowledge can explain Break Down better than this page. 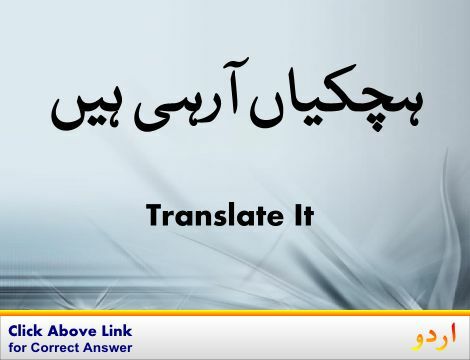 The page not only provides Urdu meaning of Break Down but also gives extensive definition in English language. The definition of Break Down is followed by practically usable example sentences which allow you to construct you own sentences based on it. You can also find multiple synonyms or similar words on the right of Break Down. All of this may seem less if you are unable to learn exact pronunciation of Break Down, so we have embedded mp3 recording of native Englishman, simply click on speaker icon and listen how English speaking people pronounce Break Down. We hope this page has helped you understand Break Down in detail, if you find any mistake on this page, please keep in mind that no human being can be perfect.